You buy the game Diablo III for PC. Diablo III - a computer game genre Action RPG, developed by Blizzard Entertainment, for Microsoft Windows platforms, Mac OS X, PlayStation 3, PlayStation 4, Xbox 360 and Xbox One. The game also contains elements of the genre Action / RPG, and dungeon crawl. The game is part of a series of games Diablo and a direct sequel to Diablo II. The game, as in the previous parts of the series takes place in a dark fantasy world called Sanctuary (English Sanctuary -. The sanctuary, shelter). Events are moving around the fight with the army of Heaven Underworld Army for the world of Sanctuary. Characters Players are not direct successors of these fractions, however, tend to the forces of Heaven, as the Army of Hell seek to enslave and destroy Sanctuary - their own world. The game was announced at the exhibition Blizzard Entertainment Worldwide Invitational in Paris, June 28, 2008, beta testing was completed May 1, 2012. It was available for purchase on battle.net website from 15 March 2012. May 15, 2012 published the English version, and June 7, 2012 - the Russian version of the game. The international client, released May 15, the Russian language was not included: it is available only from June 7. For the first 24 hours of Diablo III Sales has sold over 3.5 million copies, setting a new sales record rate among PC games for the first week it sold a total of 6.3 million copies. February 20, 2013 at a conference on the announcement of the Sony PlayStation 4, it was announced a partnership Blizzard and Sony. 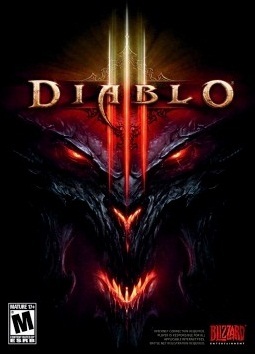 In the nearest plans of the two companies - release of Diablo 3 on consoles PlayStation 3 (graduation took place September 3, 2013, at the same time the game was released on the Xbox 360) and PlayStation 4. version of Diablo 3 for the PlayStation 4 and Xbox One came out August 19, 2014 and bears the name Ultimate Evil Edition. Included with this version also comes addon Reaper of Souls. Ultimate Evil Edition is also available on the Xbox 360 and PlayStation 3. Supports transfer saves between consoles seventh and eighth generations. The version for the PlayStation 4, there is an exclusive set of armor of Shadow of the Colossus and dungeon-based game The Last of Us.